From late summer into autumn, South Devon is set to celebrate the region’s extraordinary breath of produce and culinary expertise with a host of fantastic food and drink festivals. From mussels, oysters and crab, to epic cider and beer festivals, South Devon has it all. So, if you’re factoring in a foodie foray between now and the end of October here are ten tasty treats to whet your appetite, courtesy of Visit South Devon. Yum! Boy I’d love to do this!! There can be few more picturesque ale and cider festivals than the South Devon Railway Rails and Ales Festival, which takes place over the August Bank Holiday. 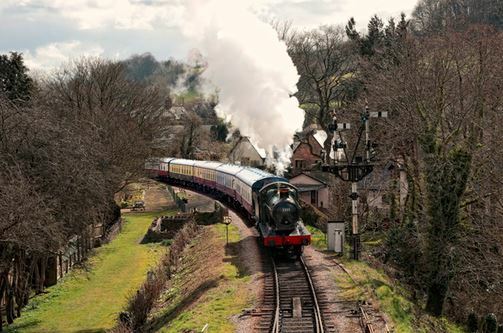 Trains will be running every 45 minutes from Buckfastleigh and Totnes travelling past Buckfast Abbey and Ashburton, where passengers can alight to enjoy the miniature railway and traditional fairground. At Staverton, the midway point on the line, the beer and cider festival will be in full swing from 11.00am to 11.00pm (6.00pm Monday), offering over 60 different ales and ciders to enjoy. There will even be a Pimms tent and wine bar, a barbecue on Friday and Saturday night and chili on Sunday evening. Beloved by foodies across the nation, Hugh Fearnley-Whittingstall is putting on a food and drink festival this summer to truly whet the appetite. Jam packed with music, food masterclasses and festival fun, there’s something for food fanatics of all ages. There’ll be top tips on foraging, creating wild cocktails and wood fired cookery as well as farmhouse feasts at the River Cottage HQ for all to enjoy. There’ll even be cider brandy and cheese masterclasses. Add to that debate on the garden stage led by Hugh with a selection of renowned guests, and a range of more unusual activities including everything from clay modelling to holistic massage, and you have a weekend of foodie fun and frolics for all. Perched on the edge of dramatic Dartmoor National Park, the historic town of Bovey Tracey, known at the gateway to the moor, is home to Nourish, a celebration of the South West’s finest food, drinks and crafts. Over 50 of the region’s top food producers and street food vendors will fill Fore Street to battle it out for the Devon Street Food Awards. Cheese, meat, beer, macaroons, preserves, chillies, cider, olive oil, cupcakes … you name it, Nourish will have it, including – new for 2017 – the Nourish Gin Festival! But that’s not all; located in the same town as the Devon Guild of Craftsman, the festival has a craft fair too and, to lighten the mood, there’ll be mellow jazz as well as classical music performances. 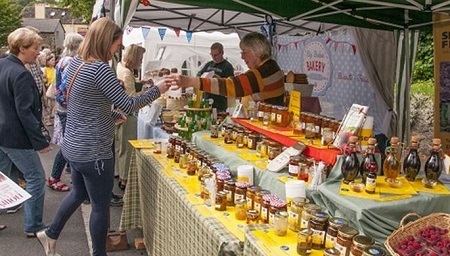 Nestled on the southern side of Dartmoor, Ashburton Food & Drink Festival is a celebration of the fantastic local food found in and around this historic stannary town. Over 50 food and drink stallholders will line St Lawrence Lane and North Street while music, comedy and children’s shows take place throughout the day. Ashburton’s retailers, pubs and eateries get in on the act too with a host of festivities including live entertainment stretching late into the evening. Perfect for families, this free festival is one of Dartmoor’s finest. Plymouth’s scrumptious Seafood Festival is back for its 6th year. Set in and around the Barbican and Sutton Harbour, visitors can enjoy a host of entertainment, activities and dishes to celebrate the city’s fantastic seafood heritage. The first city in the world to be awarded the Fish2Fork Blue City status for its commitment to sourcing sustainable fish, this firecracker of a festival will celebrate the finest of local fish dishes and produce. Featuring demonstrations from inspirational, regional and celebrity chefs at the Cookery Theatre, and a vast array of local food and craft stands, this firm favourite for anyone with a love of seafood is a must visit event this September. 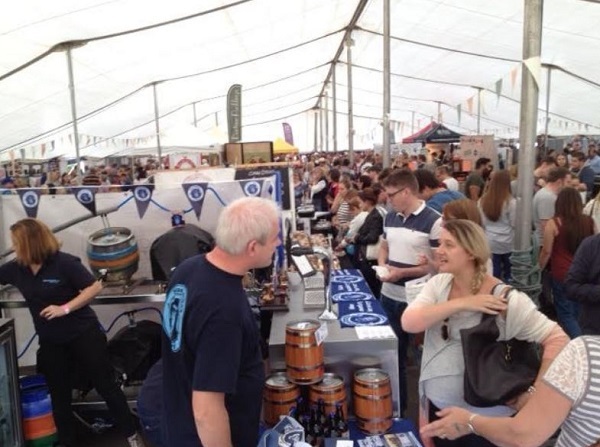 If you like beer and cider, both of which Devon does in style, then you’d be hard pushed to find a better place to celebrate a sup of your favourite foaming ale or crisp, clear cider, than at Abbfest. This year over 200 ciders and beers will be available to try over the three-day festival. Add in a healthy dollop of food stalls and street food, a good helping of cookery demonstrations – featuring chefs including 2017 Masterchef winner Elly Wentworth – a sprinkling of craft stalls, a dusting of kids entertainment – including a climbing wall, archery, face painting and a bouncy castle – and a large portion of live music, and you have the perfect recipe for a food and drink festival not to be missed. 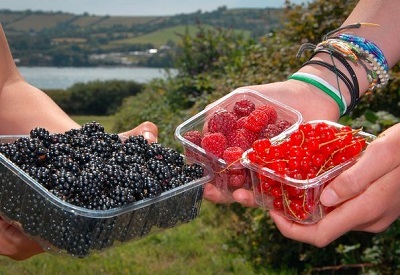 Consisting only of produce that’s been picked and reared in the surrounding fields, caught in local waters or harvested from the hedges, The Taste of the Teign Food and drink festival is a rare thing indeed. 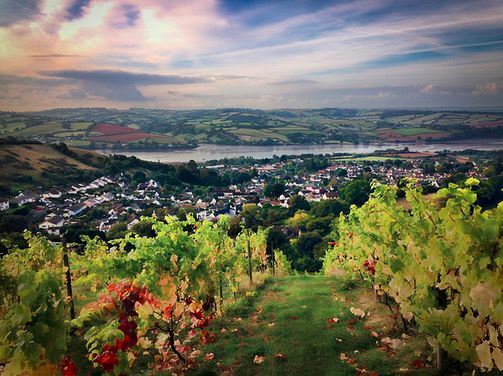 From the mighty Teign mussel and oyster to wines and beer produced on the hills above Bishopsteignton, the Teign Estuary is an exceptional place for food, drink and fabulously fresh produce. 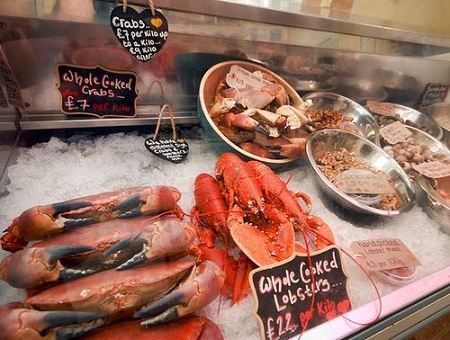 Over the course of the festival dozens of events will take place in Teignmouth and around the estuary; each one using locally sourced produce as the centrepiece for culinary creativity. Local restaurants and cafes will feature special menus based on foods available from the local area. There’ll be everything from food demos, crab cracking and farmers’ markets in Teignmouth, to tours of the steepest Vineyard in England at the Old Walls Vineyard in Bishopsteignton. Free to visit, this fabulous food festival is guaranteed to fill you up with delightful dishes. Now in its sixth year, Powderham Food Festival has fast become a firm favourite in Devon’s ‘foodie calendar’. Celebrating local produce, this year’s event will have over one hundred artisan food and drink producers to choose from, as well as tasty treats from street food stalls. Once again, The Theatre of Smoke and Fire will bring a touch of heat and spice to the proceedings, with ITV BBQ Champ, Simon Dyer and King of Meatopia, Marcus Bawdon, among others, flaming, smoking and barbecuing meat to perfection. Over on the cookery stage, illustrious names from the cheffing world will include Tim Maddams of River Cottage fame; Richard Hunt, TV chef and co-founder of Devon Scone Company, and Food writer and founder of Olive magazine, Orlando Murrin. For the brave, or foolhardy, Clifton Chili Club will be hosting another Great Chili Challenge. It’ll be a case of last man standing as competitors chomp on increasingly spicy chili peppers until only one brave – or daring – soul remains. 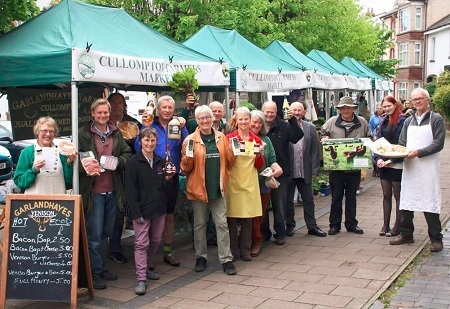 Renowned for produce from the Culm Valley, this pretty market town food festival is a huge draw for producers from mid-Devon and as far as Exmoor. With a selection of hot food stalls and artisan food producers to choose from, you can try the tastiest treats from the local area. Once again, a host of chef demonstrations will be taking place and there’s even a Cream Tea showdown to find the best cream tea from the Culm Valley. The Dartmouth Food Festival is back for 2017 with a tempting mix of delicious regional food and drink, chef demonstrations, workshops, lively food debates and fun for all the family. Set in the pretty estuary town of Dartmouth in the breathtakingly beautiful South Hams, the three-day event is a foodie’s heaven, celebrating the very best food, drink and culinary skills from the south west. The festival sees around 20,000 people flock to the town each year. More than 100 South West producers showcase their delicious produce, and there’s a packed programme of events including an impressive line-up of celebrated chefs demonstrating their skills and inspiring festival goers, including Simon Hulstone, Richard Bertinet, Romy Gill, and Angela Hartnett, TV and Radio personalities, Matt Tebbutt, Jay Rayner, Matthew Fort and Dan Saladino, alongside wine experts Susy Atkins, Fiona Beckett and award-winning Tim McLaughlin-Green from Sommeliers Choice.